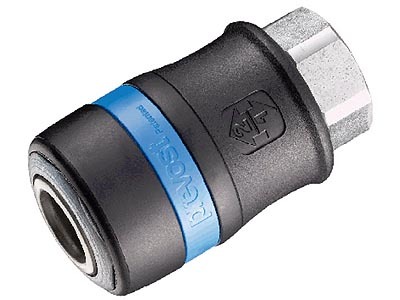 Prevost High Flow Safety Disconnect (1/2" Body size) - great for use with larger air hoses (1/2" ID and above) - this 1/2" body size has a 1/2" female NPT thread to attach to hoses. Flows an incredible 183 SCFM of air at 100psi. 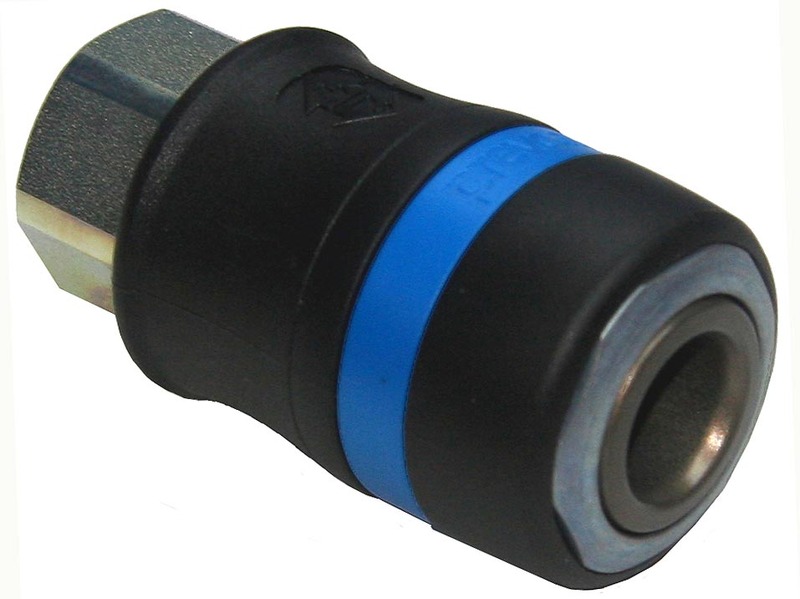 For use with 1/2" Industrial Interchange air plugs (IRP11 series). (1) Pulling back on the coupler releases the downstream air pressure making the hose safe. For use with high capacity pneumatic tools (truck impact wrenches, jackhammers, pnematic pumps, etc) and for irrigation contractors running larger diameter hoses to blow out sprinkler systems. Note on Thread Size - Thread Size (NPT) does NOT refer to the physical dimension of the pipe or fitting. Please refer to the table below if you're unsure of which size to buy. 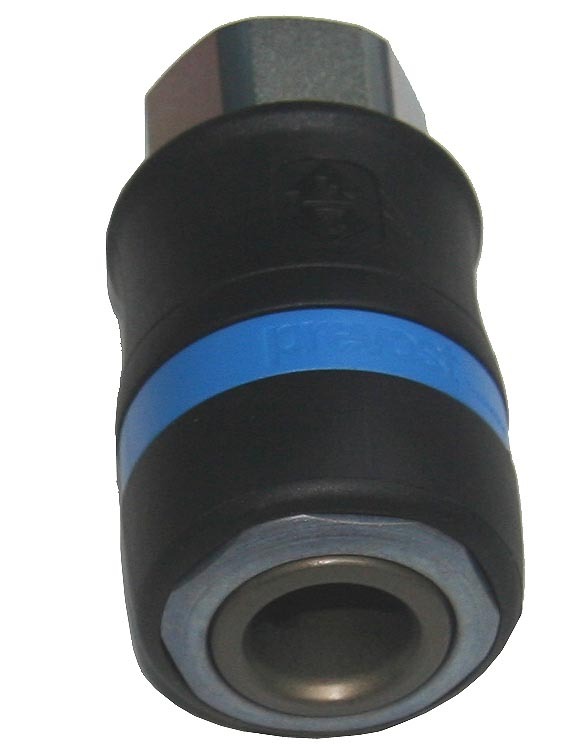 For example, a 1/4" NPT pipe thread (common air tool fitting size) has an outer diameter of 0.540".